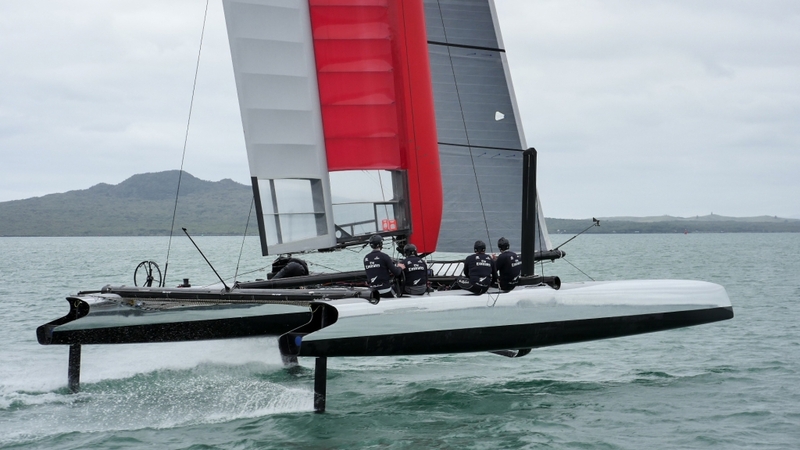 Emirates Team New Zealand ticked off another major milestone of their 35th America’s Cup today, launching the first test boat in Auckland today. 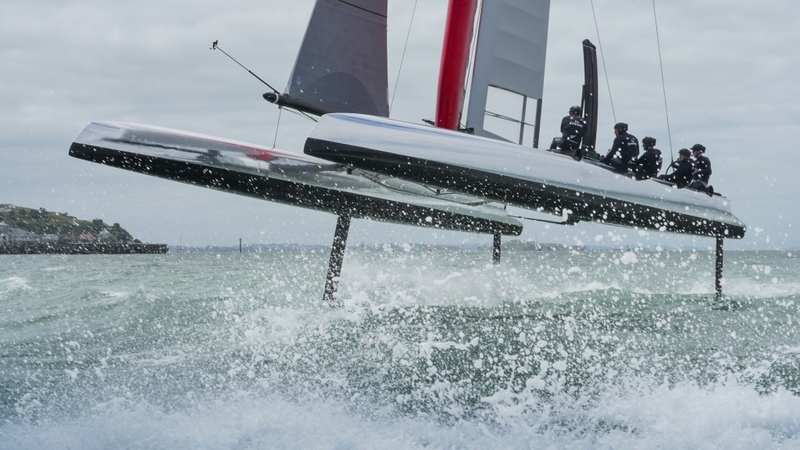 The silver and red boat is formerly Luna Rossa’s AC45 test boat, which has been loaned to the Emirates Team New Zealand by the Italian syndicate. While it is an exciting occasion for the team having the boat touch the water, the reality is it will take a few days to perform systems tests and gear checks before the real testing begins. 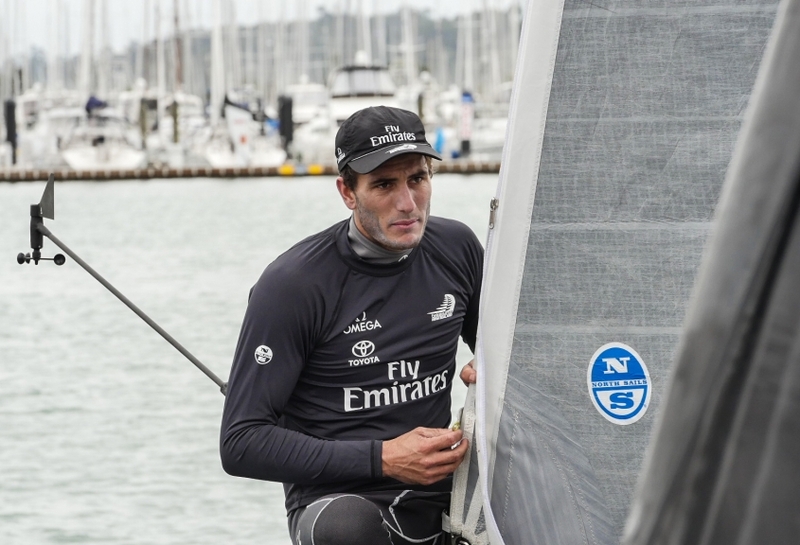 “There are a lot of people across all departments in the team that are chomping at the bit to finally get out on the Hauraki Gulf testing an America’s Cup yacht again,” said skipper Glenn Ashby. 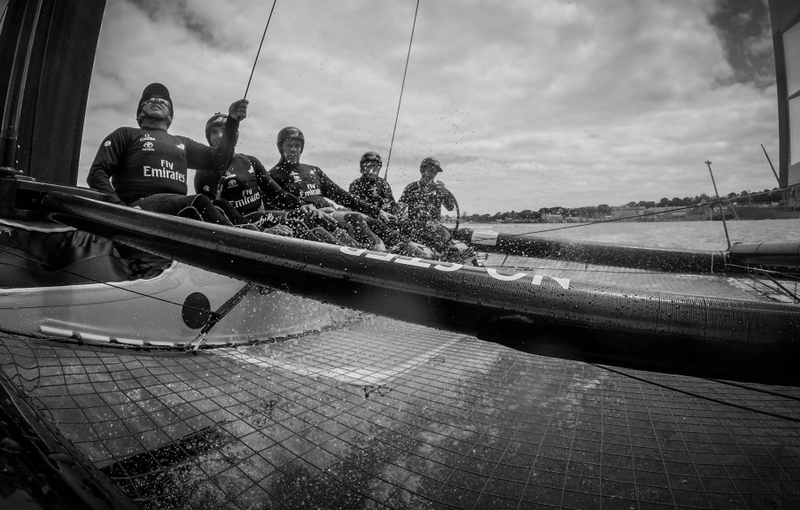 The goal over the next few months for the test boat is to run through an immensely structured testing program with the sailors and designers implementing their learning’s and development into the next test boat due out early next year. The launch of the boat caps off what has been a quietly successful year for the team. Here is looking forward to an even better 2016.